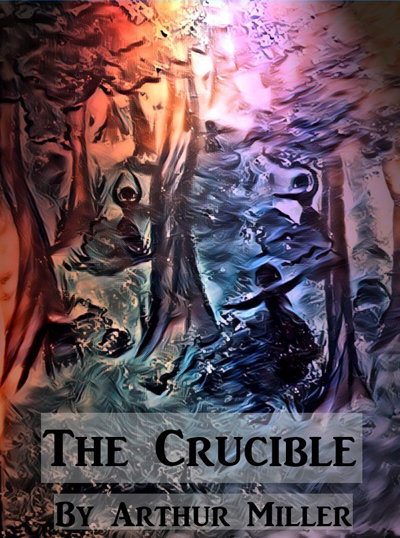 Using the historical and controversial subject of the 1692 Salem Witch Trials, The Crucible presents an allegory of events from the McCarthy Hearings of the 1950’s. Reason and fact become clouded by irrational fears and the desire to place blame for society’s problems on others. John Proctor, a blunt, out-spoken farmer is the play’s central character. He gets caught up in a conspiracy not even his own strength can control when his ex-lover Abigail throws false accusations on his wife Elizabeth. As Proctor tries to free his wife and prove all others accused of witchcraft innocent, he finds himself accused as well. One man stands in a tug-of-war between God and Satan, pride and damnation, and good and evil. It all leads to a climatic ending in which one lost soul finds peace with himself and realizes the importance of one's own dignity. Miller won the 1953 Tony Award for Best Play, and The Crucible has gone on to become a classic, regarded as one of the great American dramas. John Proctor gets caught up in a conspiracy not even his own strength can control when his ex-lover Abigail throws false accusations on his wife Elizabeth. Elizabeth Proctor bids farewell to her husband, John, and servant, Mary, after being arrested for witchcraft. Abigail is certain that her love for John will convince him to leave his wife. Reverends Parris and Hale question John Proctor about his involvement with witchcraft.